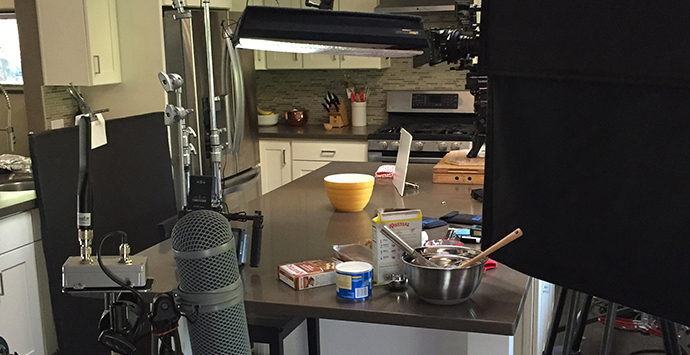 This family-owned brand of pancake and bake mixes set its eyes on increased awareness and market share nationwide with a campaign centered on relatable, light-hearted life situations. 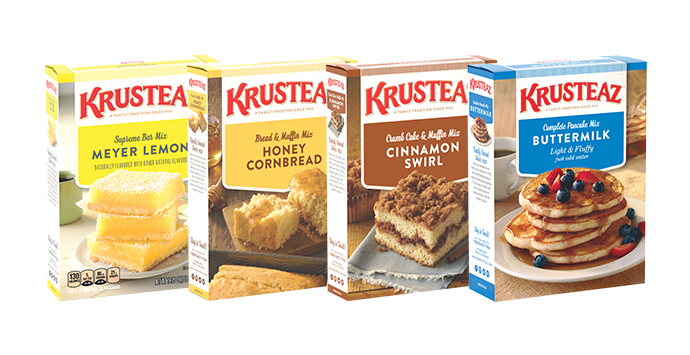 Following the introduction of newly designed packaging, the Say It with Krusteaz campaign aimed to drive awareness among users of competition brands while increasing frequency and use occasions for current fans. Food is a universal language. We use it to say I love you. I’m sorry. Thank you. Most of all, it says, “I care enough to make the extra effort.” It’s one of the most basic ways we turn strangers into friends, and make friendships and families even closer. This is a well-established and relatable insight—but its universality makes it trickier to own. We all talk to ourselves before important interactions, maybe in the car or bathroom mirror, searching for the right way in. 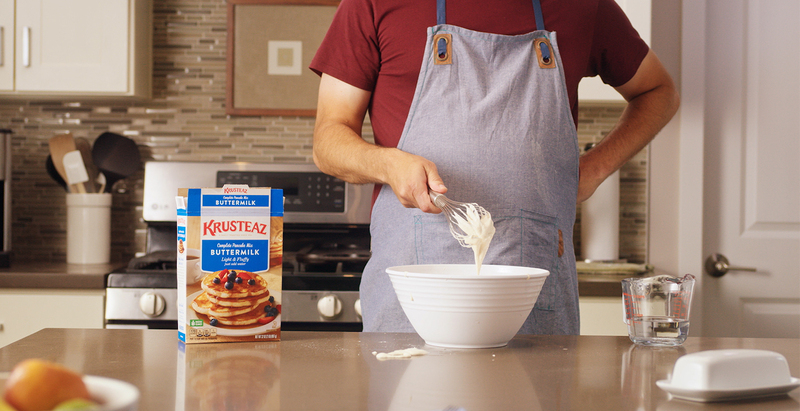 This campaign celebrates those quiet moments, showcasing Krusteaz as the ultimate communication tool. In cropping out the most emotive part of our characters—the face—the audience is free to concentrate on gesture and dialogue. A repeated visual device Krusteaz can own. 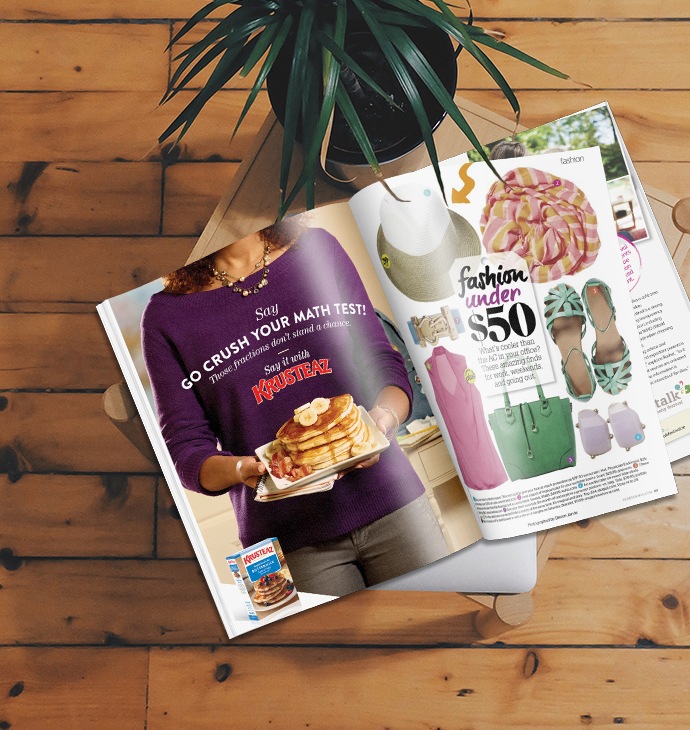 The campaign launched with print and digital ads that showcase these moments of human connection—the act of homemade Krusteaz being given and received. 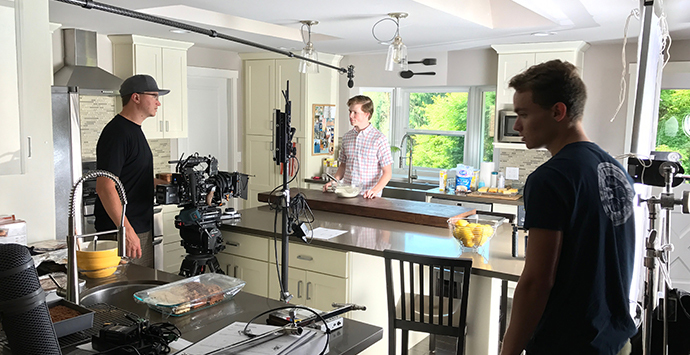 During the video shoot we captured additional stills and content that could be leveraged into display banners and both video and static social assets. 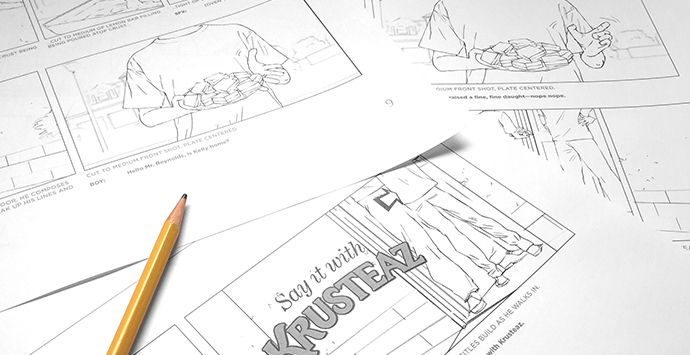 As a result, this provides Krusteaz with an extensive library of assets for advertising across multiple channels.